I have to admit I am always collecting odd procedures that I reuse. I usually dump them into a generic module that gets included in every database I build. The procedures below are a collection of ones I built over the years to do a number of things related to tables. Most Access developers have rolled out a database with a backend file and later found they needed to change a table in the backend Access database. If there is only one installation, it is relatively easy to throw everyone off and make the changes. 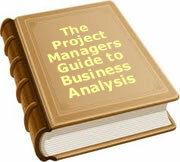 If like Project Perfect who have been selling Project Administrator software for about 15 years. there are tens of thousands of databases out there, it gets more complicated. We developed the module below to add a field to the backend Access database from the frontend Access database. The trick is to import the table into the frontend, make the changes then export it to the backend overwriting the existing table. Of course you then need to link the table to the frontend. There are five procedures in the module. subAddTableFields Main calling procedure. After various checks, import, modifies and exports tables. Calls relink procedure. Check a table by that name exists. By passing a table name you know exists, you can find the file name of the linked database. funCheck4Nothing Checks to see if a value is blank, null or zero. Here is an example. We wanted to add a field called "Period" to a table called tblWeeklyReport. We had a weekly report but decided to let users set their own period in case they wanted to do a 2 weekly or monthly report. We decided to make the type long integer and as many people would be using the same number in the field (7 days or 14 days, we wanted to allow duplicates. This is the calling line for the procedure. subAddTableField "tblWeeklyReport", "Period", "Long", "NULL"
DoCmd.DeleteObject acTable, strTableName ' Delete the table Could be left over from previous modification. Not likely but best to be safe. strSQL = "SELECT " & strTableName & "." & strFieldName & " FROM " & strTableName & ";"
Set tdfLinked = dbs.TableDefs(strTableName) ' Select a table. If no database, this will fail.
' database if successful, or returns 0 if unsuccessful.
' Purpose : Check the value passed is null, zero string ("") or zero. Returns true if any of these. The easiest way to do this is to use the autoexec macro to call a function. The function in turn calls the subroutine to add the field. We have a function that calls a number of procedures to do things like confirm registration details, check for updates online for the program and also run any maintenance. A procedure called subMaintenance calls any fixes or database structure changes. By putting any change routines in subMaintenance we can quickly see what maintenance needs to run for each release. autoexec macro calls a function called funInitialise. funInitialise calls a number of other procedures to check for updates, validate registration, set user security etc. One of those procedures called is subMaintenance. subMaintenance runs the table modification. Once the change has taken place, the procedure will continue to run. At the start of the procedure, the program looks for the table. If it finds it, it looks for the field to be added. If it finds the field, it exits. If running the SQL query causes an error it means it cannot find the field. In this case the update part of the procedure runs. If you would like to comment on this article, click here.